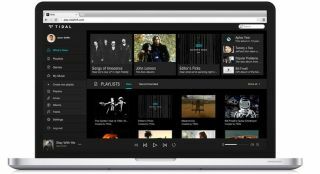 Music streaming revenue up 60 per cent in 2016 | What Hi-Fi? Streaming revenue grew more than 60 per cent in 2016, according to the IFPI Global Music Report 2017, with more than 112m people paying to stream tunes. There's further evidence of the inexorable rise of music streaming. According to the IFPI (International Federation of the Phonographic Industry) Global Music Report 2017, revenues from the format grew 60.4 per cent last year. That was due to more than 112 million people paying to use a streaming service such as Tidal or Spotify Premium. Overall, the global recorded music market grew by 5.9 per cent in 2016, the highest rate since the IFPI started tracking it in 1997. Total revenues for 2016 were $15.7bn (£12.24bn). Last year marked the first time that digital income accounted for half of the global recorded music industry's annual revenue. Streaming also helped offset a 20.5 per cent drop in music downloads and a 7.6 per cent decline in revenue from physical formats. The report says that in order to create sustainable growth, the 'value gap' must be addressed. It says there is a disparity between the value that user upload services like YouTube extract from music, and the revenue returned to those who create and invest in music. The IFPI also called on legislators to force services like YouTube to remunerate musicians more fairly. "Music's potential is limitless, but for this growth to become sustainable - for investment in artists to be maintained and for the market to continue to evolve and develop - more must be done to safeguard the value of music and to reward creativity," said Frances Moore, chief executive of the IFPI. "The whole music community is uniting in its effort to campaign for a legislative fix to the value gap and we are calling on policymakers to do this. For music to thrive in a digital world, there must be a fair digital marketplace." This isn't the first report to conclude that YouTube should pay musicians more. Last month, Cary Sherman, chairman and CEO of the RIAA (Recording Industry Association of America), said that YouTube "wrongly exploits legal loopholes to pay creators at rates well below the true value of music." The RIAA's report claimed revenues from paid-for streaming services grew 114 per cent in the US in 2016.